(London, UK, November 29) CentralNic Ltd, the global domain name registry, today announced that it has completed the largest deployment of DNSSEC of any registry to date. CentralNic, which operates the registry system for 22 domain extensions, including .us.com, .uk.com and .la, has finished rollout of the new security technology across all its extensions. “No other registry manages as many extensions as CentralNic, and none have come close to deploying DNSSEC on as many as we have,” said Gavin Brown, CentralNic’s Chief Technology Officer. 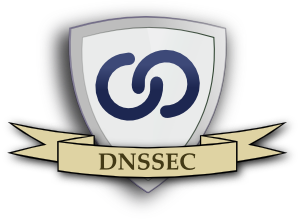 DNSSEC is a system for adding security to the Domain Name System (DNS), the Internet’s address book. Although it has been under development for nearly a decade, it is only recently that the domain registries, who manage the massive databases of registered domain names (over 200 million according to current estimates), have started to use it. CentralNic built, tested and installed their DNSSEC system with assistance from Xelerance Corporation, a Canadian company who offer an award-winning DNSSEC solution. “CentralNic needed an appliance to automate their key signing process. No less important, however, was the requirement that it be able to scale up to match their performance needs. Our initial benchmark told us that our enterprise version would easily handle their demands. And it did: throughout the integration, DNSX Secure Signer performed flawlessly. CentralNic was able to demonstrate that they were truly ahead of the curve in understanding DNSSEC. That’s why they have the first domain extension (us.org) to launch with DNSSEC enabled – right from the start,” said Sergius Heifa, President of Xelerance. One of the world’s leading domain registries, CentralNic supplies domains at an ever- growing number of extensions (including .us.com, .la, .uk.com and .cn.com), including new Top Level Domains due to launch in 2012. Headquartered in Ottawa, the high-tech capital of Canada, Xelerance offers products and services to secure the internet. Its flagship product DNSX Secure Signer, which won the Best Security Hardware award at FOSE 2010, automates the complicated tasks of managing and maintaining the signature keys required by DNSSEC.